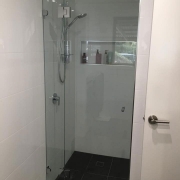 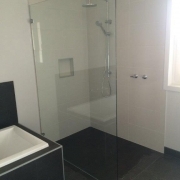 At North Geelong Glass we have been supplying and installing glass Shower Screens around the Geelong, and Surf coast area for many years, We only use the best quality glass so that you have the peace of mind that it complies with the current Australian Safety Code. 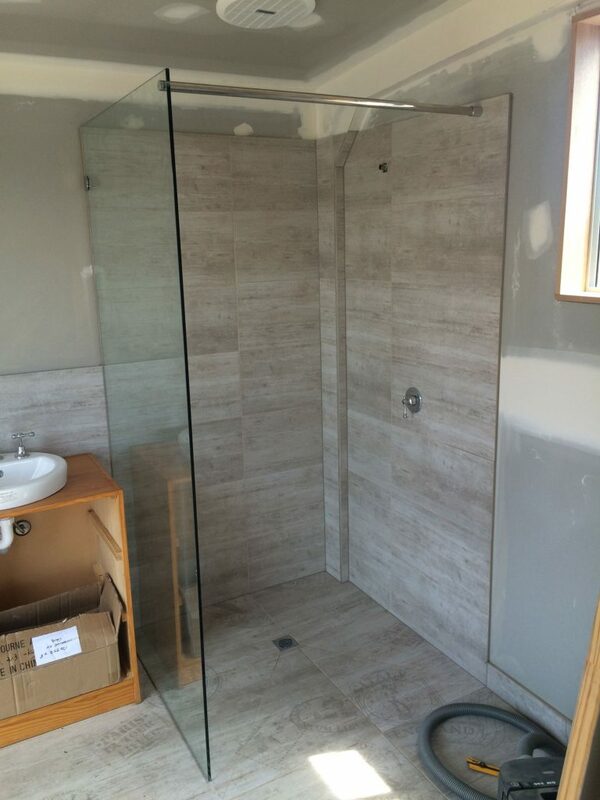 The advantage of using a custom made screen is that we can make the screen finish at a certain tile height for a more professional look, some people buy screens from Ebay and bathroom warehouses, and then find that there walls are out and then try to get the glass modified, unfortunately you can’t cut Toughened Glass , so those people end up having to buy more glass, and there stuck with a panel that is un useable. 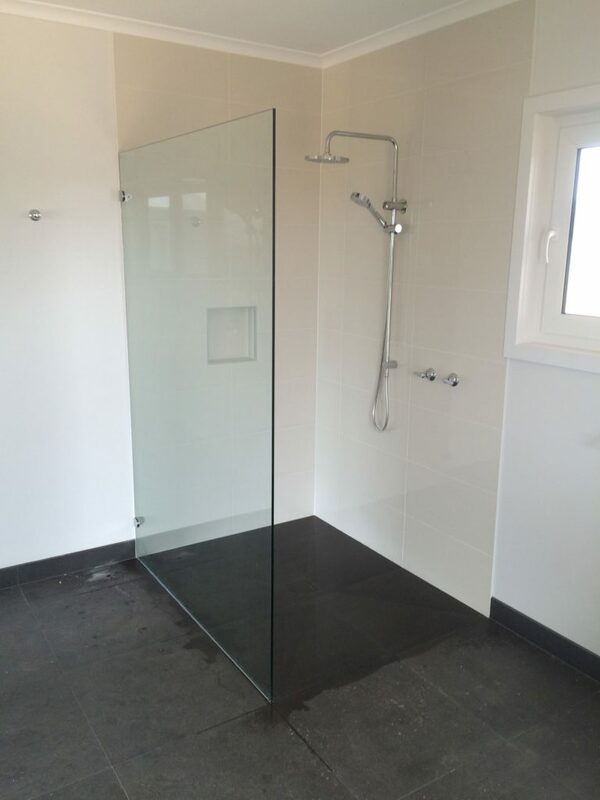 We have several options Frameless Shower Screens these screens are manufactured in 10mm toughened safety Glass and are held safely to the wall with holes thru the glass, the glass is manufactured to size to fit your walls, even if the tiling is out we can cater for that , this is the benefit of a made to measure screen. 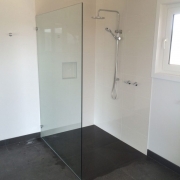 These screens come with toughened safety glass as the edges are exposed, they are ideal and easier to clean, the only issue is that Toughen Glass can explode when the edges are knocked roughly. 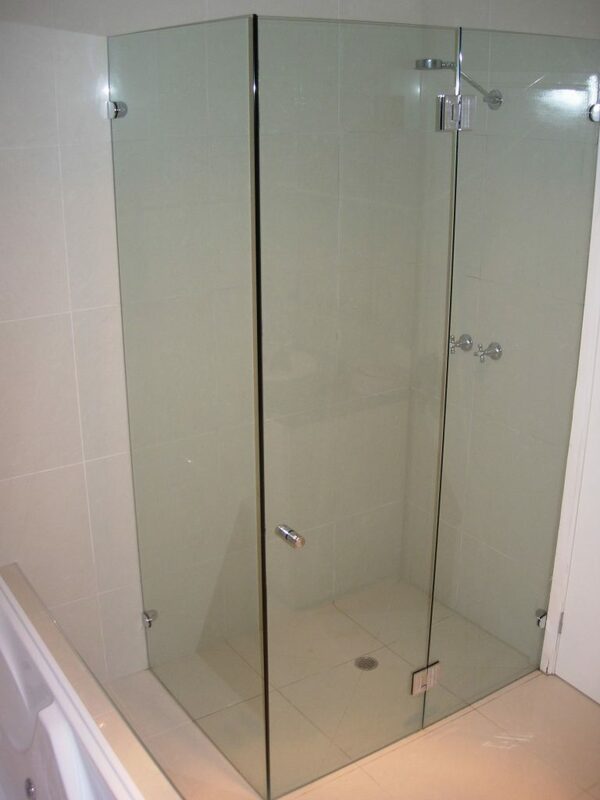 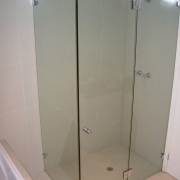 We also supply a large number of Fully Framed shower screens, these are Australian Made Heavy Duty. 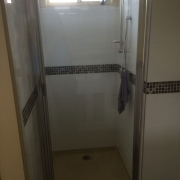 They are very attractive for their sturdiness, and function ability, these are also very popular with property managers as they are very well priced and being sturdy don’t require a gentle tenant. 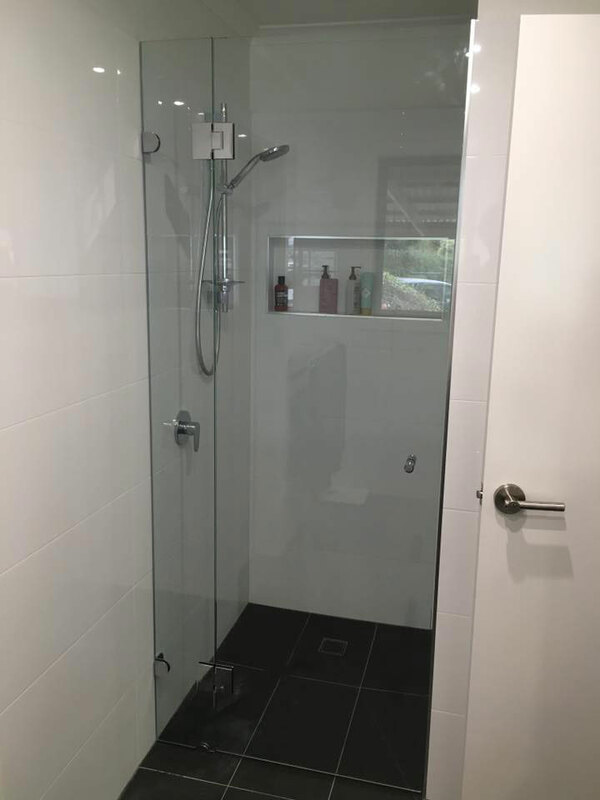 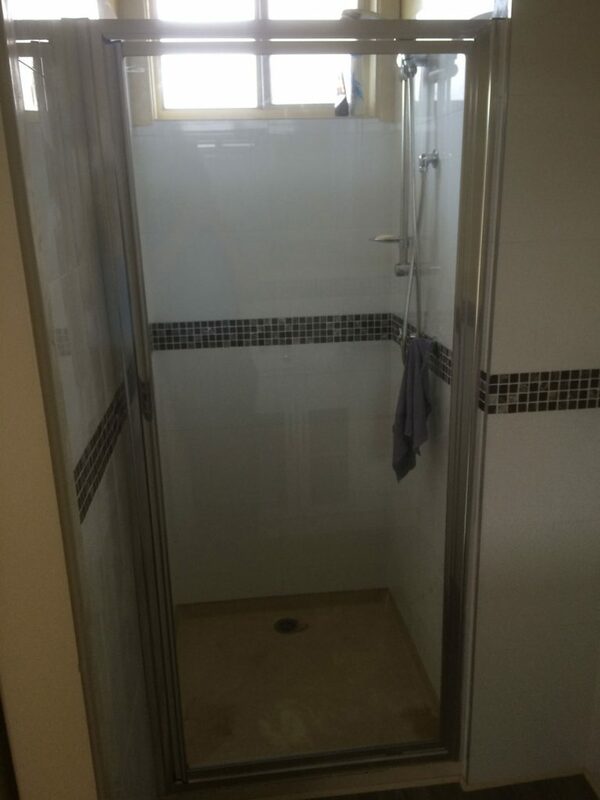 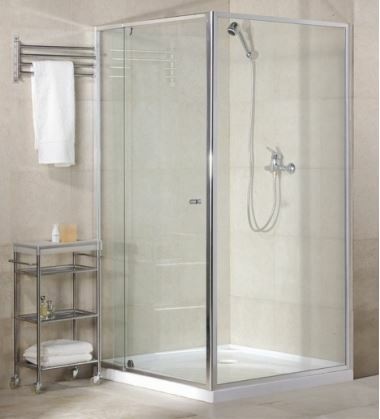 Shower Screen Panels are installed with 10mm Toughened Safety Glass, they are usually fixed with a bracket though the glass and attached to the wall for strength. 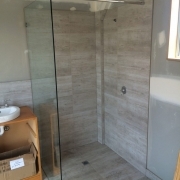 They have the ability of keeping a very open and spacious look in a bathroom while stopping the water from going everywhere.